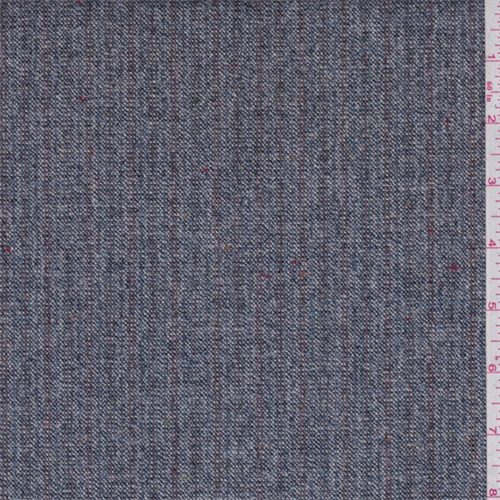 Mid weight pure wool tweed fabric. Yarn dyed vertical double pinstripe with flecks of blue, orange, green and ivory. Dry hand/feel. Drapes in folds. Suitable for dresses, skirts, slacks, suits and lightweight jackets. Dry clean for best results. Imported from Japan.